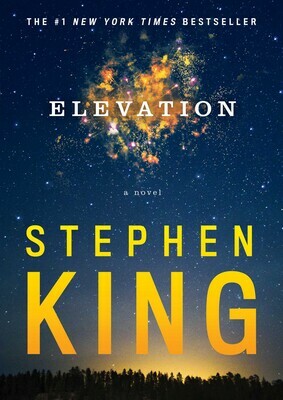 I recently read Stephen King’s latest novel, Elevation, and I enjoyed reading the novel for a number of reasons. The first reason was that it, once again, meant that I had read every novel that Mr. King has written. The second reason was that, of the 59 King novels I’ve read, it was the first one I read in one sitting. Granted, it’s a small book, just 146 pages, but it’s a novel and I read it one sitting. I take pride in that. In fact, it was only the second novel, by any author, that I read in such fashion. The first was A Time to Kill, by John Grisham, and I only accomplished that because I was sad and depressed in a hotel room in Myrtle Beach. Finally, I liked the ending. I won’t spoil anything for you, but I found the ending different from any of the other book Stephen has written. I love appreciating the mundane of life, that I’ve lived long enough to not need pomp and pageantry, and I’m so pleased that the simple pleasures of ordinary things are enough to sustain me. If you haven’t gotten there yet, my friend, I hope you do in time. I hit something I shouldn’t have. I dig family movies. The boys are 11 and seven, so we see all or most of the Marvel Films. The Jurassic Serieses are huge with us. I’ve taken to driving my oldest to school every morning; it’s about a 20 minute drive, and we jam 21 Pilots on Spotify. He and I throw a lot of frisbee, and my youngest and I do basketball. Sometimes the four of us play baseball in the yard, Beck and Finn vs. Simon and me; those are the best times. You get that and the new Cap on the same day, and you gotta winner. Peace, bro; pleasant tidings always.